During its Google I/O 2017 keynote, the Mountain View search company has officially announced Google Assistant for iPhone. A couple of days back, we got wind of news that Google Assistant was coming to iOS. Although an announcement was imminent, but several key details were missing. Now though, Google has officially made everything clear, and has announced Google Assistant for the iPhone. Just like on Android, Google Assistant for iPhone is proactive, and will take in any query that you might have. But of course, since there are lot of limitations put in place by Apple itself, and the fact that you cannot replace Siri, therefore some things are a little chopped down. For instance, Google Assistant on iPhone won’t be able to set an alarm for you, something which Siri proudly does. I’m sure you get the jive here. Google also announced several updates to Assistant as well. One of those updates is the ability to use text in order to interact with the virtual assistant. This is a perfect little addition for those who wish to avoid awkward conversation moments in a public place. Simply type away your query and Assistant will get right back at you with relevant results. It was also revealed that Google Assistant will integrate Google Lens under the hood, allowing users to point their camera at different stuff in order to get more information immediately. But it remains to be seen at this point whether or not such a feature will make it onto iOS in its full-blown glory. Last but not the least, Google will throw in a dedicated widget for Assistant as well, allowing users to kick off a search query from anywhere at all. 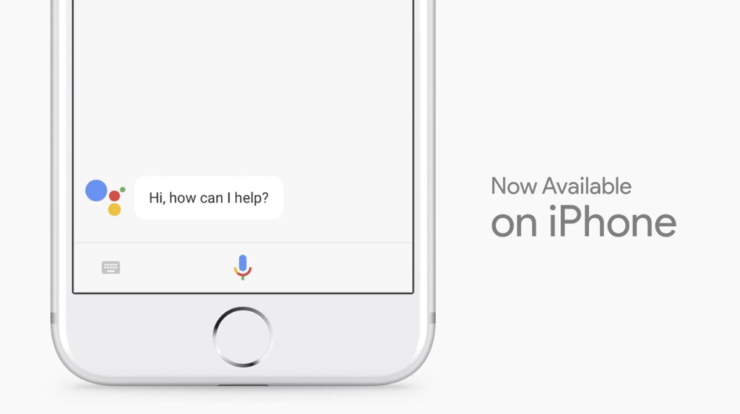 At this point in time, Google Assistant for iPhone will be available for those residing in the United States. It will gradually be rolled out to other people around the globe, but those living in the States will get it first. Whenever the download link for Assistant goes live in the App Store, we will update this post accordingly. Therefore keep your eye on this space for more. Update: Google Assistant has been released on the App Store. You can download it from this link.